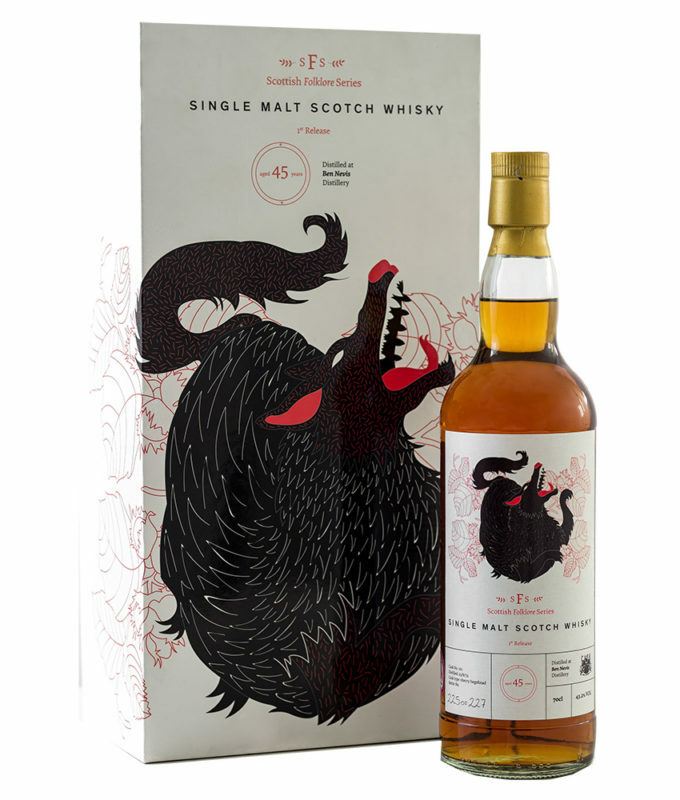 The first release in the Scottish Folklore Series is an instant classic. An outstanding 45 year old Highlands single cask expression from Ben Nevis distillery. 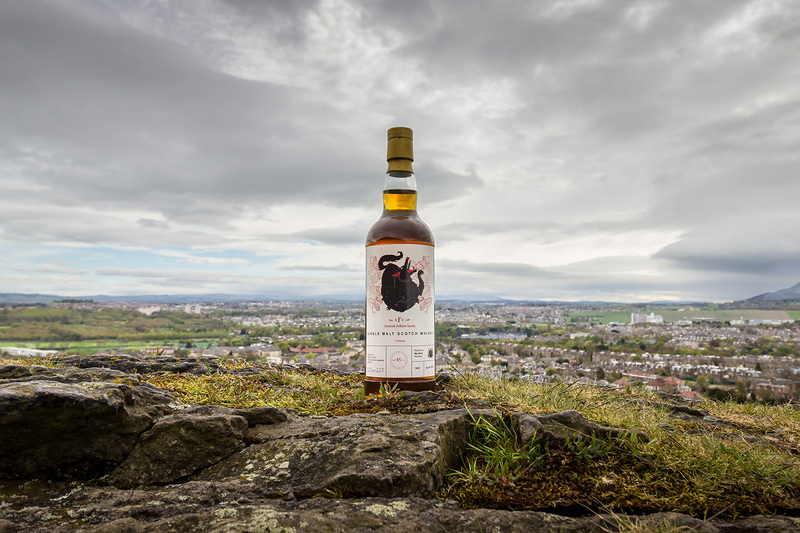 Taking away not just one or two, but three prestigious industry awards in 2018, this 45 Year Old Ben Nevis 1972 Single Malt is being hailed as one of the years best bottles. 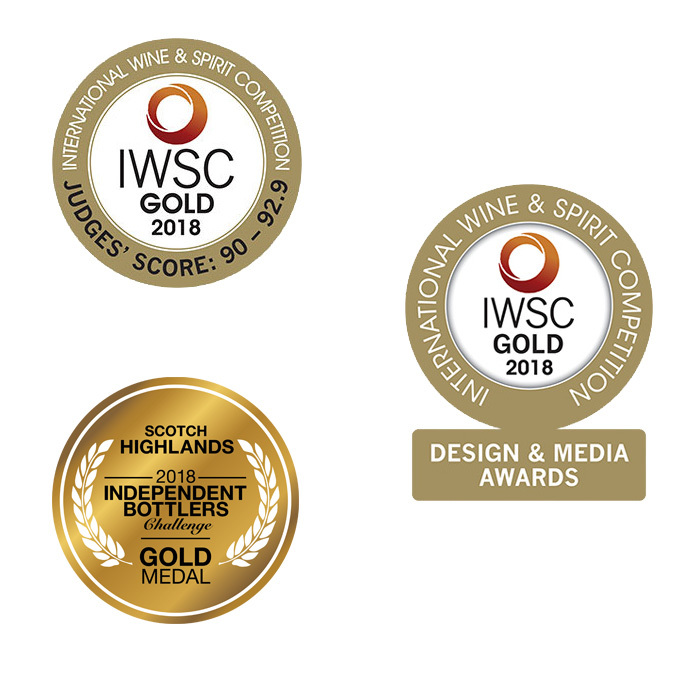 The expression earned gold in the “Highland Single Malt 30 – 45 Year Old” category and gold in the “Design & Media Awards” category at the 2018 Wine & Spirit Competition. 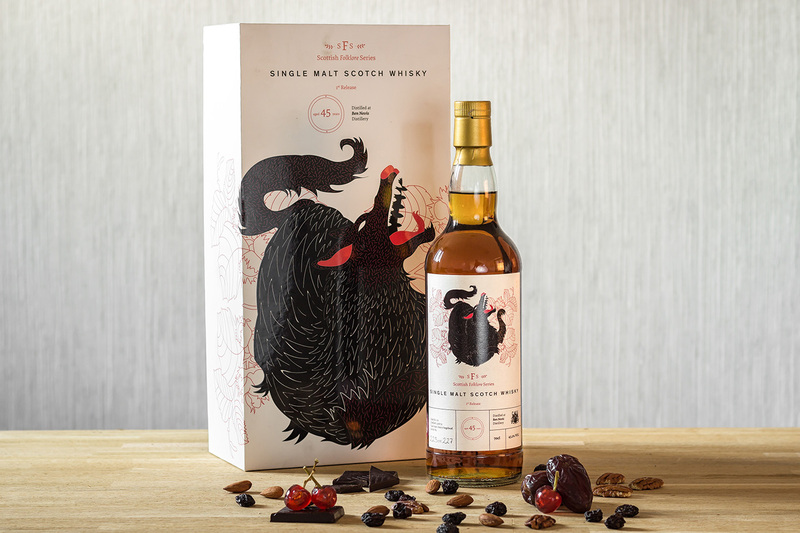 It also earned Gold in the “Single Malt 21 Years & Older” category at the 2018 Independent Bottlers Challenge. 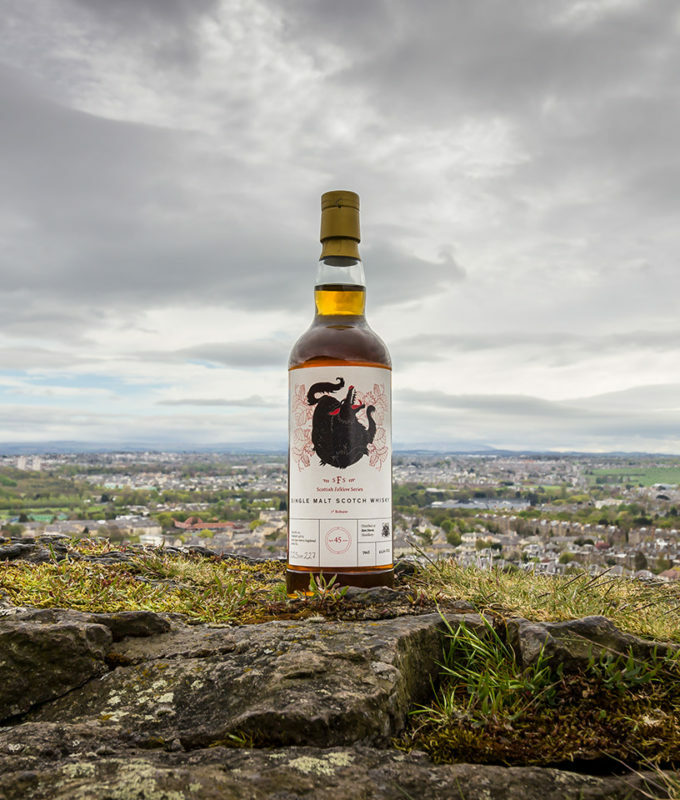 A highly limited release aged in a sherry hogshead, of which only 228 bottles are available, this is the first in Cask 88’s series of single cask whisky bottlings inspired by legends of Scottish folklore. 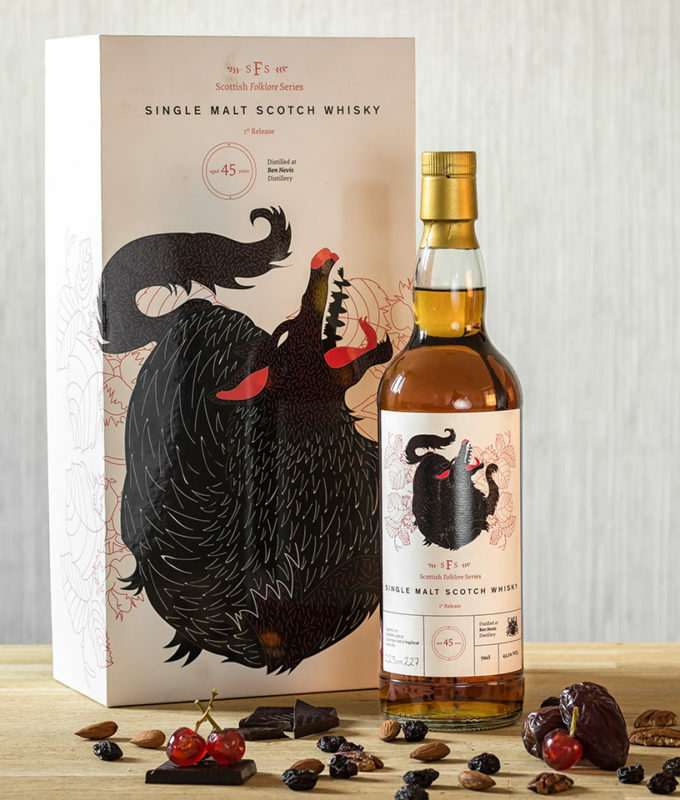 This venerable Ben Nevis whisky is typified by the Cù-Sìth, a terrifying large hound, with a murderous bark, said to stalk the Highlands of Scotland. 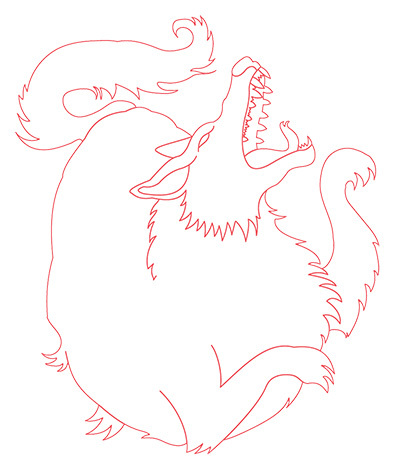 Celtic folklore is built upon a tradition of oral storytelling passed down through the generations; few tales have sent audiences to such restless sleep than that of the deathly bark of the Spirit Dog, known as the Cù-Sìth (pronounced Coo Shee). 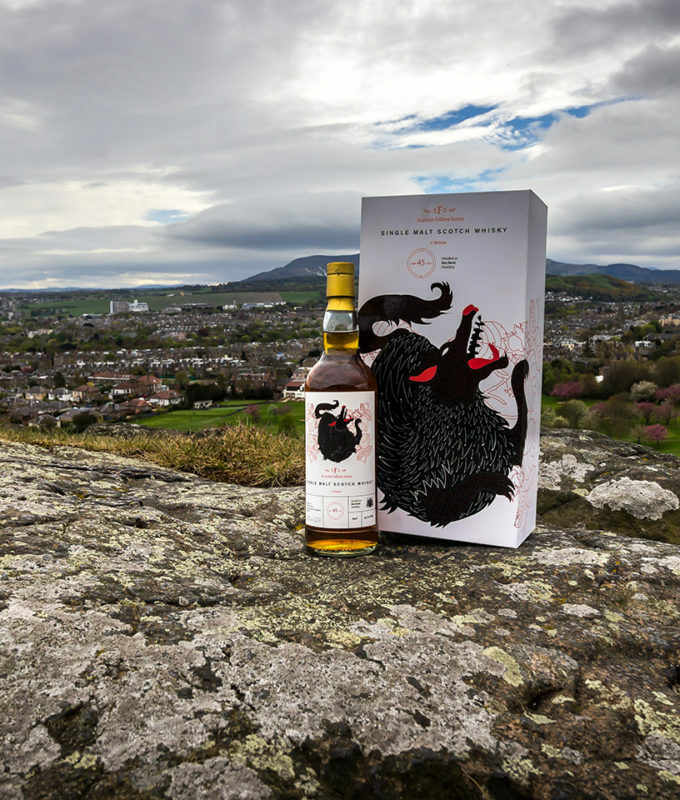 A murderous hound of terrifying stature, with a dishevelled, braided coat, emanating an unearthly green glow, the Cù-Sìth patrols the remote Scottish hills and nests in the clefts of rock in the Highlands. During the darkness of night, it descends into the misty Glens to prey upon weary and lost travellers. Catching scent of human prey, the Cù-Sìth sounds a bloodcurdling whine, an omen of death, leaving petrified every man or woman upon whose ears it falls. It is said that any soul who hears the wild dog bark three times will be transported by the Cù-Sìth far into the silence of the hills, into the underworld of demons and fairies, never to return. 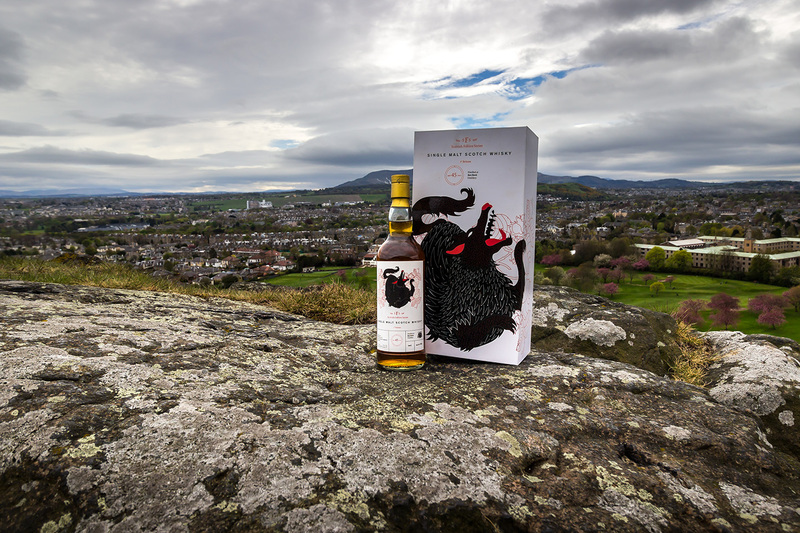 The peaks of Scotland’s tallest mountain loom large over the Ben Nevis distillery where many may have fallen victim to the Cù-Sìth’s fearful bray. How many people have heard that howl and locked themselves away, reaching for a stiff drink to steady their nerves? The region is home to another indomitable spirit, whose age also spans generations. 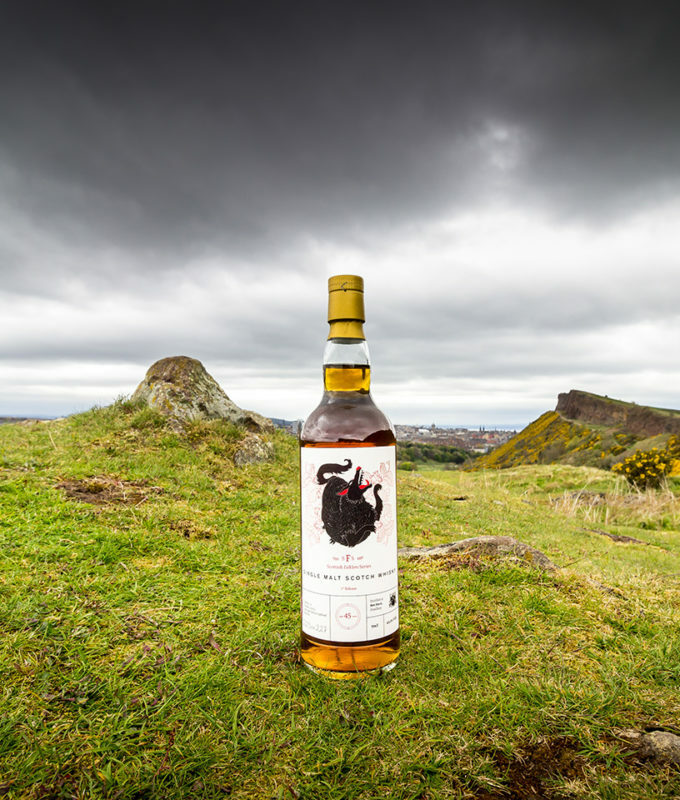 In the shadow of the highest mountain of the British Isles, we discovered the exceptional liquid that was to become the first expression in our series. 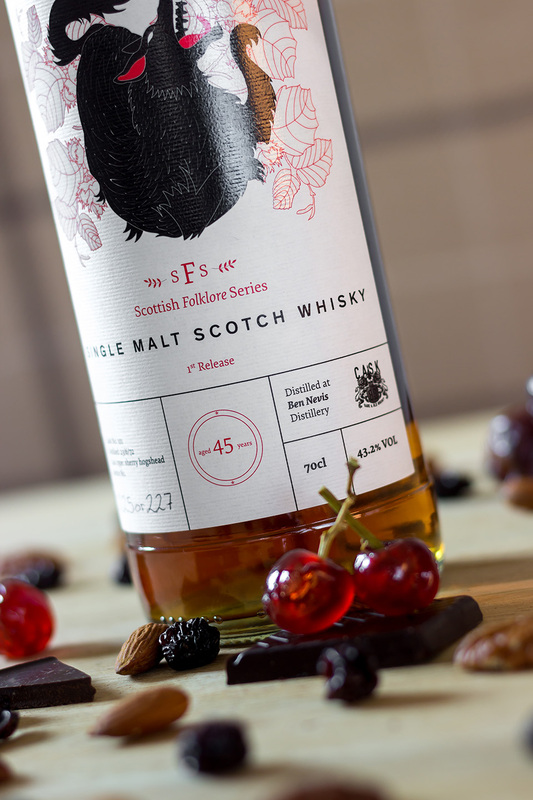 After distillation in 1972, this whisky spent 45 years maturing in a sherry hogshead before being bottling in 2017. 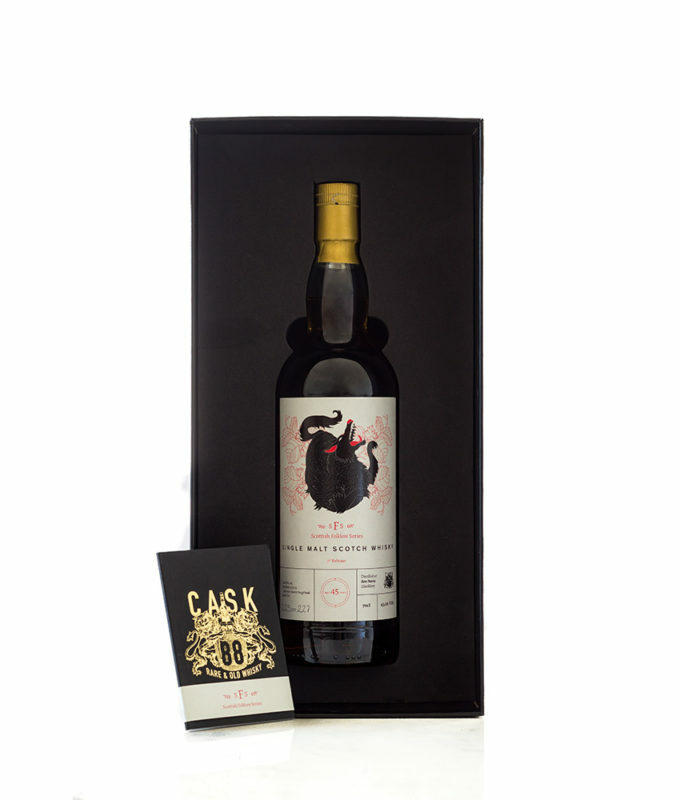 The single cask expression yielded 228 bottles, a release which is sure to be sellout and become a highly sought collectible. Appearance: Deep amber, with copper lights. Aroma: Mild nose-feel. A massive fruity aroma immediately emerges – fresh fruit salad, including pineapple and mango, developing into lemon sherbet sweets – with a perfumed middle (scented oil, aroma therapy oil), on a base of vanilla fudge. It holds its aroma very well in the development, the fudge edging towards treacle toffee. Taste: A smooth texture, with a fresh, sweet taste overall, a touch of crisp acidity and a long, lightly warming finish. A faint aftertaste of sandalwood. 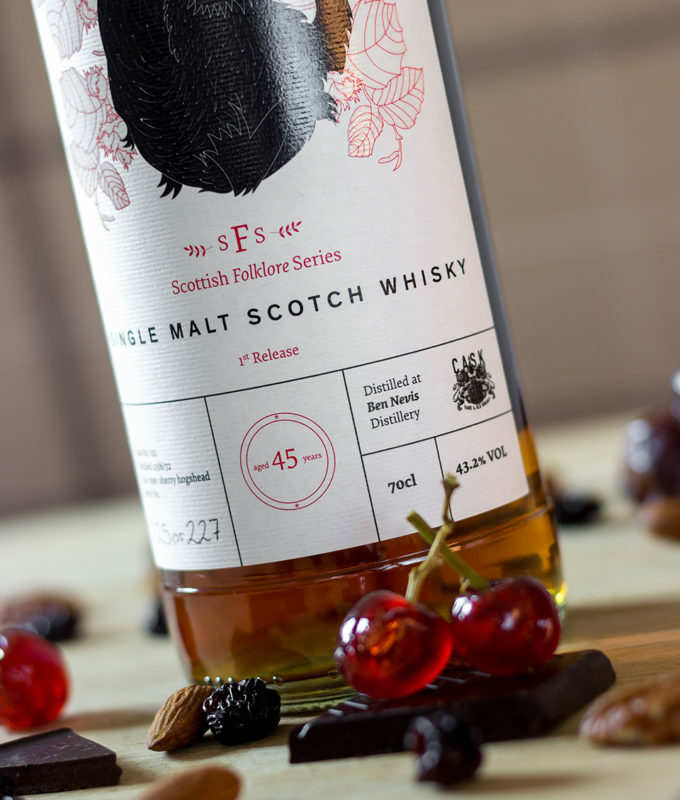 Comment: An exotic whisky, highly aromatic, fresh and gentle. It wears its age remarkably well, and is very easy to drink. The Ben Nevis distillery is nestled amongst the munros and corbetts of the Scottish Highlands, at the foot of the tallest mountain in the British Isles. It was here, forty five long years ago, that the heart of a clear spirit was collected from the copper stills and left to mature in a single oak cask. 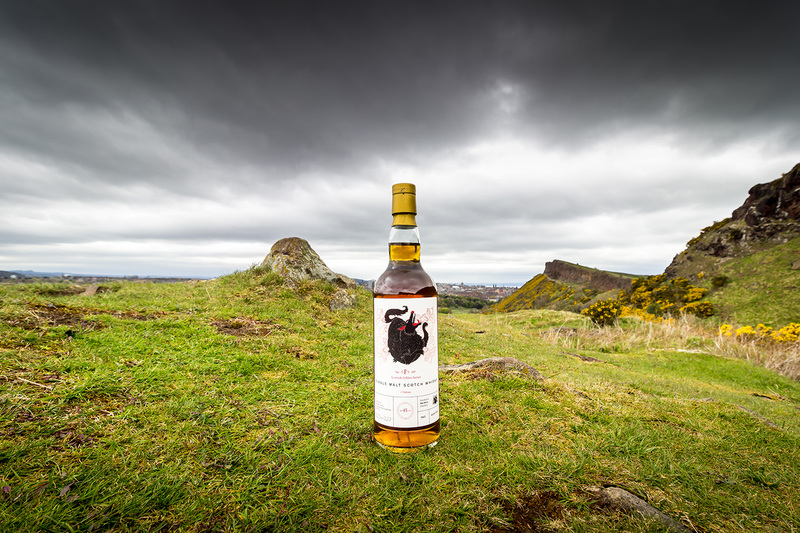 Over the many decades of maturation in the rich mountain air of the Scottish highlands, the spirit has interacted with the wood in which it was housed, developing deep colour, flavour and an unmistakably bold character. 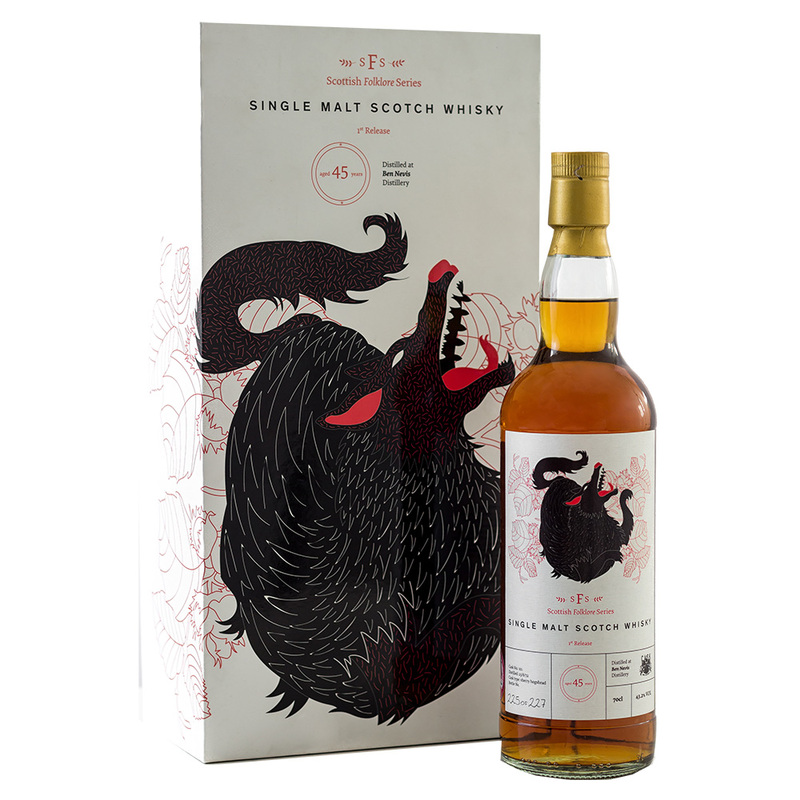 This is the single cask we chose to bottle and share with you to narrate the first story in our Scottish Folklore series.